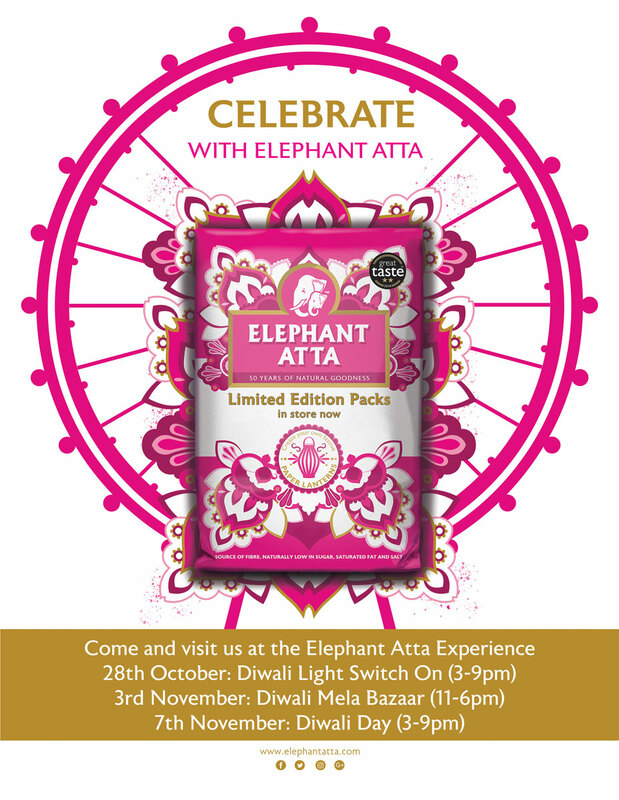 Elephant Atta will bring Diwali celebrations to Leicester in 2018, with an experiential campaign and sponsorship of the iconic big wheel. Developed by brand experience agency, ignis, Elephant Atta will invite festival goers to make their own delicious Cha-pizzas from a bespoke Citroen H van. Delicious pizza toppings will give visitors the chance to create personalised and festive pizzas, all made with the brand’s premium atta (flour). Visitors will also have the chance to win a cookbook, by spinning the wheel of fortune. Consumers will be able to catch the experience at Leicester Diwali including the lights switch on 28th October, at the Diwali Mela on 3rd November and on Diwali Day on the 7th November.